Our latest Type 5 Dual Port BOV features the innovative new Smart Port drive-by-wire friendly staging technology that gives you the response of a plumb-back valve, with the high performance benefits of a vent-to-atmosphere valve. The Smart Port system involves a new piston manufacturing process utilizing specialized alloys and coatings, along with a revolutionary new vent to atmosphere trumpet design. These new designs allow for very fast response while also providing enhanced sealing. The result is quicker spool-up and better performance on modern drive-by-wire vehicles. The new Smart Port piston is made from aerospace alloy, reducing the weight of the piston, and improving the response of the valve.A new military-spec coating technique is applied to the surface of the piston. 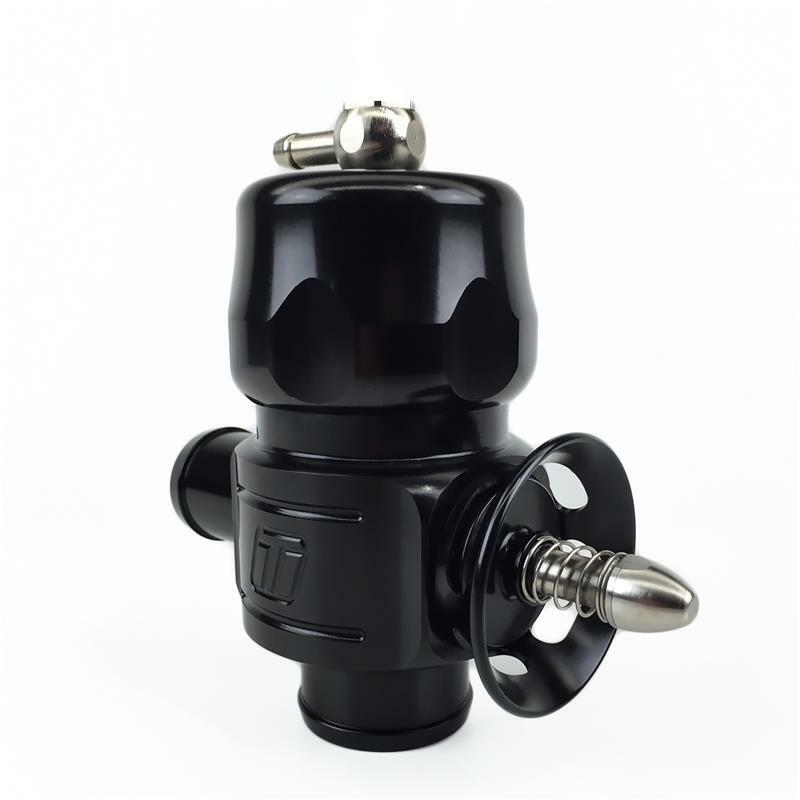 This low-friction material also helps make the BOV more responsive than any previous Type 5 BOV, plus has excellent wear resistant characteristics – extending the working life of the BOV. Turbosmart’s new Smart Port trumpet allows the use of a softer spring in the body of the BOV to aid in valve response to the plumb back port, while still retaining the ability to vent to atmosphere.